Texas Ranger opening line: I push my boot against the gas pedal, and the needle on the speedometer surges past one hundred miles an hour. Rory Yates is first and foremost a Texas Ranger. His best skill is that he can draw his gun faster than the eye can see. But this has landed him in trouble and far away from home. Can he get back in time to save his ex-wife? And if he cannot, will he found out who has been terrorising her? Officer Rory Yates is called home to settle deadly scores Rory Yates’s skill and commitment to the badge have seen him rise through the ranks in the Texas Ranger division, but it came at a cost – his marriage. When he receives a worrying phone call from his ex-wife, Anne, Rory speeds to what used to be their marital home. He arrives to a horrifying crime scene and a scathing accusation: he is named a suspect in Anne’s murder. Rory’s only choice is to find the killer himself. He risks his job, his pride, his reputation among everyone he loves to pursue the truth. 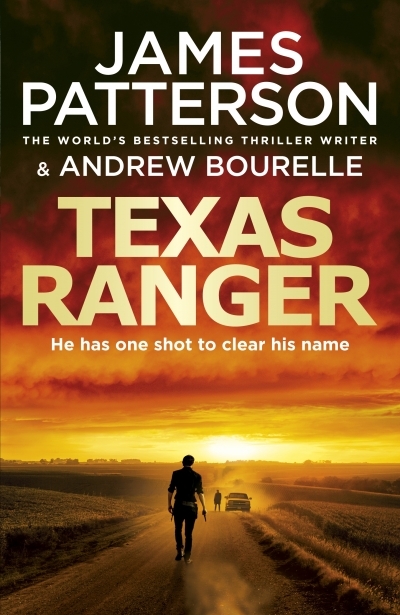 A really enjoyable read from James Patterson and Andrew Bourelle. I managed to figure the mystery out before it was revealed, but only by a few pages. Hehe I love that ranger saying, “never surrender”! Sounds like something he would have said. I love your reviews, Tandy. I don’t really read these sorts of books but everyone else I know does. It helps me such a lot with gifts. Thanks for the compliment Robbie.